Clarets defender James Tarkowski has withdrawn from the England squad due to injury. 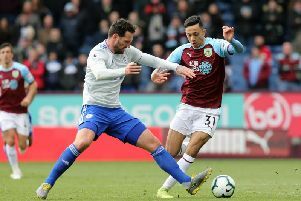 Tarkowski played the full 90 minutes against Huddersfield Town at Turf Moor on Saturday, having been described by boss Sean Dyche as “touch and go” for the game with the groin problem which forced him off at Cardiff City last week. He pulled up late on after a clearance against the Terriers, but completed the game, although the problem is enough for him not to be risked for the UEFA Nations League games against Croatia and Spain.